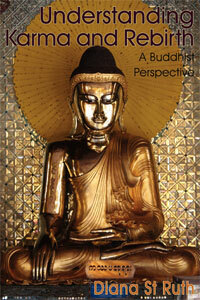 As Buddhism moves into the western world, the question is asked, ‘Is monasticism necessary? Do we really need monks and nuns? Maybe that old stuff worked in Asia but is no longer profitable?’ There is a lot of this, especially in the States, about it ‘no longer meeting the needs of modern people.’ But that is an opinion, a view, which can be argued and rationalised on both sides. You can see it as totally useless, or you can make a case for its absolute necessity. The point is not to take sides but to use the forms of Buddhism, when they are around, for mindfulness rather than for taking positions. 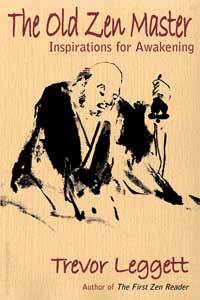 When I first saw a real, live, flesh and blood bhikkhu [a Buddhist monk], something in me felt very excited by it. I was in the Peace Corpse in Singapore at the time, and was sitting eating Chinese noodles one evening, when an orange-robed monk walked by. He just walked by in the distance. I didn’t talk to him or anything. But just that visual presence had a profound effect on me. Something in me resonated with it. I don’t know what it was, but it was a positive feeling. I later travelled in Thailand and Cambodia as a tourist and saw many Buddhist monks, but each time I could not help but feel tremendously inspired by their presence. 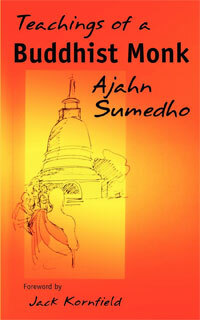 At that time, I thought that all Buddhist monks were Arahants. I was very naïve! But it doesn’t really matter whether they are Arahants or not; it’s how to use the presence, the form, that counts. It can be used for awareness rather than for following views and opinions. 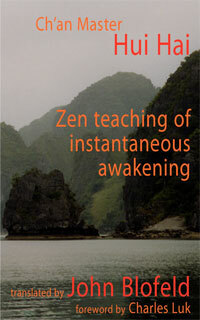 So, how do we use the things around us so that they awaken us or remind us? This, I find, is a very important matter. I live in a monastery and there are Buddha-rupas and so forth all around, and they help to remind one in a conventional way. But some people live in places where there are no such reminders. Other things can be used in a similar way, however, like churches, the sky, flowers; anything can serve to awaken the mind, to remind, rather than things just being seen through the worldly mind in the habitual way. The form will always be necessary to demonstrate and maintain the fundamental aspects outlined by The Buddha. He set up strict guidelines for a reason, so that people didn’t stray in to delusion or get lost in personal interpretation. I feel that this is the risk with ‘western Buddhism’, if the Bhikku Sangha is not there to represent the core aspects of the Buddhist path then everything starts becoming chopped up and the purity of the teachings just get watered down once again. We can see this with Mindfulness, it is already becoming mainstream and fashionable in psychotherapy, but taken out of it’s context it can serve to leave people with questions and without access to the preserved teachings a lack of direction can result. The monks and nuns are needed as teachers and reminders. No matter what new thing or new ideas present themselves as the latest fad. The red and yellow of the monks and nuns are our reality check. Here is someone who is reminding us this is but samsara and empty.